We believe everyone should be able to spend life doing something they love. We achieve this by allowing anyone to create their own successful online business. Back in early 2000 our founder Antony Chesworth was working in a local hospital as a porter and from spending time with people at their end of their lives he kept hearing the same thing… “make sure you spend life doing something you love”. So, in 2002 at the age of 22 from his student bedroom he started building an ecommerce platform that would let anyone create a successful online shop, even his computer illiterate mum, and enable them to spend life doing something they love. After 4 very tough years starting the business and struggling on his own, the company started to take off and over 17 years grew into a team of 80 world class ecommerce experts working from our office in Preston, Lancashire and tens of thousands of customers all doing something they love. With multi-millions of pounds per day going through the platform it quickly became the UK’s most popular ecommerce solution and powers 1 out of every 5 online shops in the UK. EKM online shops are unique because they are always evolving and getting better to ensure you sell more. Our two decades of experience and team of 80 ecommerce experts are always making improvements to both the platform and your shop ensuring tomorrow is always better than yesterday. 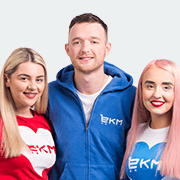 You are never on your own with EKM, our team are there to help you and your very own account manager will work with you, coach you and even manage the shop for you leaving you to process orders and spend more time doing something you love. 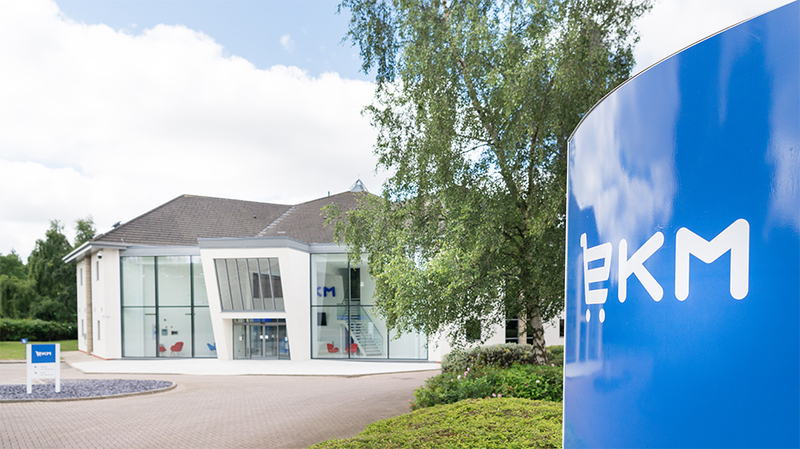 We have a duty of care to ensure all our customers can succeed. Our team cares about our customers and will do everything possible to help them to succeed. We don’t treat customers as a number, we know they are real people with families, employees, dreams, aspirations, fears, desires and wants. Fed up of seeing businesses wasting money on ecommerce websites which might look good but don’t generate sales or “get rich quick” drop shipping scams our team of 80 world class ecommerce experts work with people who really want to build a successful online business and everything they do is to help people build a sustainable online business which can grow. 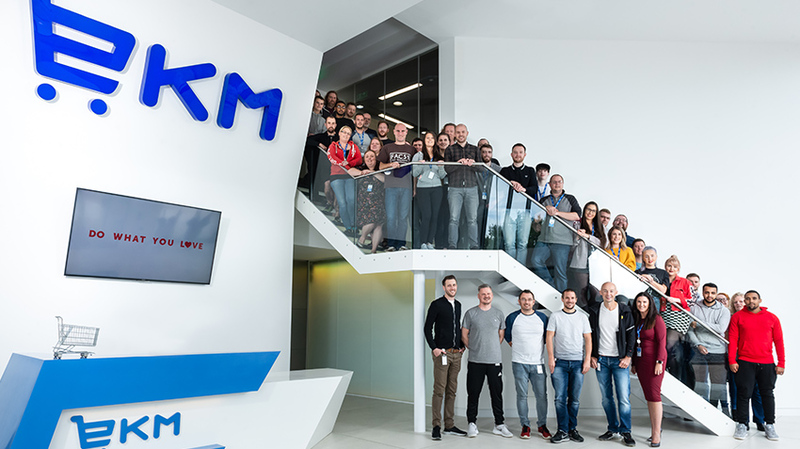 Over 65% of EKM customers have been with us for more than 2 years which just proves that we can help you build a sustainable and profitable business and it’s no surprise to hear EKM has more 5 star customer reviews than any ecommerce platform on the planet.